Home » Frequently Asked Questions » Can I Demand an Independent Medical Examination (IME)? Can I Demand an Independent Medical Examination (IME)? As discussed elsewhere on this web site, quality medical care in your workers’ compensation claim is not a given. Remember, the physicians who appear on posted panels are chosen by your employer and/or its insurance company. This does not mean that every posted panel physician is unacceptable, but it does mean that you should be prepared to speak up if you sense that the doctor who is treating you for your work injury does not have your best interests at heart. You should be especially concerned if your posted panel choices are “industrial clinic” doctors who get all of their business from workers’ compensation insurance companies. 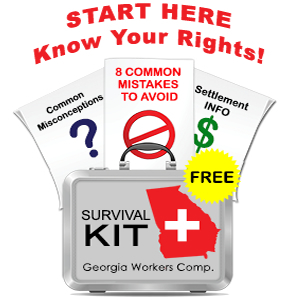 Georgia workers’ compensation law has long recognized that there will be disputes between injured workers and insurance adjusters regarding the quality of medical care. Injured claimants have always had the right to petition the State Board for a “change in authorized treating physician,” but but that process is cumbersome in that there may be a several month delay in getting before a judge. In 1990, the Georgia legislature changed the law to add a significant benefit to the rights of injured workers. Claimants now have the right to demand an “independent medical exam” from a physician of their choice, paid for by the insurance company. This change in the law has been tremendously beneficial to injured workers. In my practice, I regularly assert the “claimant’s IME” to quickly obtain compelling medical evidence on behalf of my clients. Often, I use the claimant’s IME to help me negotiate a change in authorized treating physician without the need to litigate this matter before a judge. I can recall several instances where the panel physician treated my client for months with pain pills, but the claimant’s IME suggested an immediate need for surgery. In these situations it is often clear that the panel physician is not providing adequate care and the claimant’s IME provides the needed evidence that will allow me to assert control of my client’s medical treatment. Now as you might imagine, there are rules that govern when an injured worker can demand an independent medical evaluation. Firstly, you have the right to an IME only if the employer/insurer has accepted your claim and is paying weekly wage benefits. Further, you can only demand one (1) IME during the course of your case, and there are other limitations that apply as well. In general, however, the claimant’s IME has become an important tool in my law practice as I represent injured workers. If you sense that your company provided care is less than adequate, please feel free to call me at 770-351-0801 or fill out the form on the right side of this page.